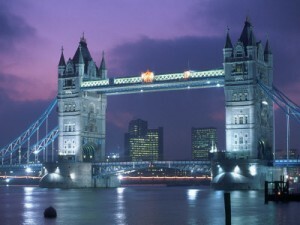 A UK visit visa allows a person to travel and stay in the UK for up to six months. It also covers people coming to the UK for business trips or medical treatment and those passing through the UK. A Business Visitor Visa is often the best temporary immigration route for business people who wish to attend the UK for short trips. As long as they are not entering into any type of work and will only be attending meetings, conferences or auditing work they are allowed to stay for up to six months. A Business Visitor Visa can be granted for a single entry or for multiple entries with a validity of two years. This way a person does not require constant renewals every time they wish to travel to the UK on business. Artists who are not performing can also use this visa to enter the UK if they wish to attend interviews or promote a piece of work such as a movie or a book without needing to apply for any further permits to work. Global Visas is a consultancy that specialises in UK immigration law, so whatever type of UK visa you’re applying for, we can guarantee you’ll get the highest quality service and best outcome possible every time. The UK tourist visa lasts for up to two years if it is granted for multiple entries. A person can stay on a visitor visa for a maximum of six months except for medical visitors who can extend their leave to remain if required. As outlined above, the key benefit of a UK Business Visit Visa, or a visa for tourism is that the requirements on the part of the applicant are few. Unlike longer-term business visa, student visas or the Tier 1 visa, this short-term visa service allows its holder to enter the country freely and in the case of business people, to engage in a range of business activities without the more demanding requirements of other immigration services. To be eligible for a UK visit visa you must be able to support and accommodate yourself without recourse to public funds. You must also intend to return home at the expiry of your UK travel visa. If a person has family settled in the UK an Entry Clearance Officer may question a person’s intention to return home. For a UK visit visa to be granted it is important to note that it is not just your Immigration history that will be taken into account but that of your family. Medical Visitor visas are often issued to individuals who wish to attend the UK for medical treatment. In the past, the UK was a highly respected destination for medical Visitors. From IVF to plastic surgery it was accepted that the United Kingdom was a leader in these fields. Today, fewer people attend the UK for medical treatment however, it is still important to note that a Medical Visitor visa can only be granted in certain cases. For a visa to be granted a person must not have a terminal illness and the treatment concerned must be private. For years, parents are actually waiting for a toy which will transfer like a genuine animated character. EXACTLY what did you say? I’ve been looking on behalf of! Credit so much!